✅ 【BELT DRIVEN & 35 LBS FLYWHEEL】35lbs flywheel and heavy-duty steel frame of the exercise bike guarante the stability while cycling. 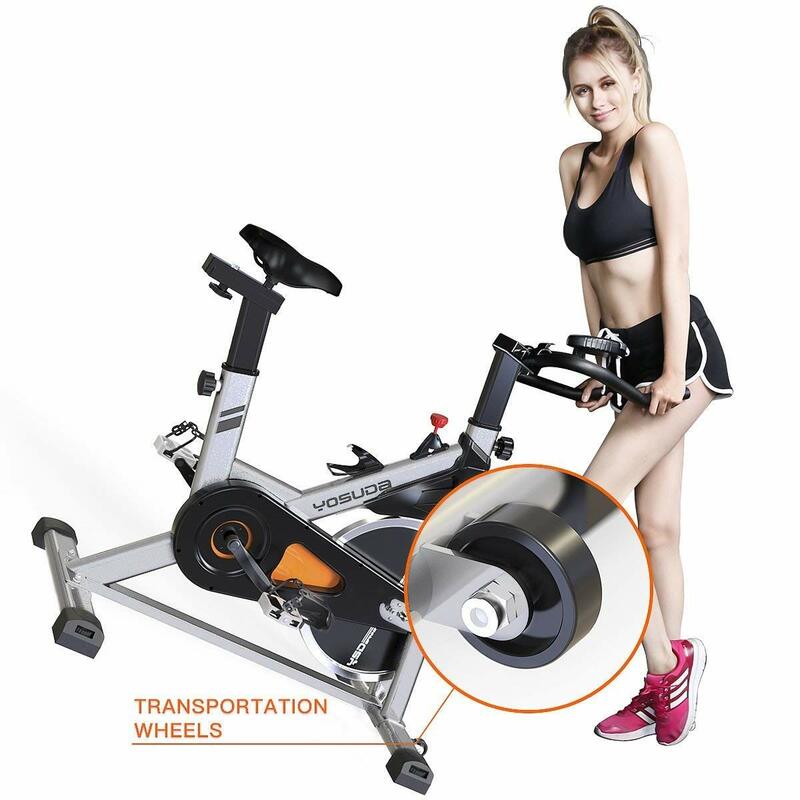 The belt driven system provides a smoother and quieter ride than chain transport. 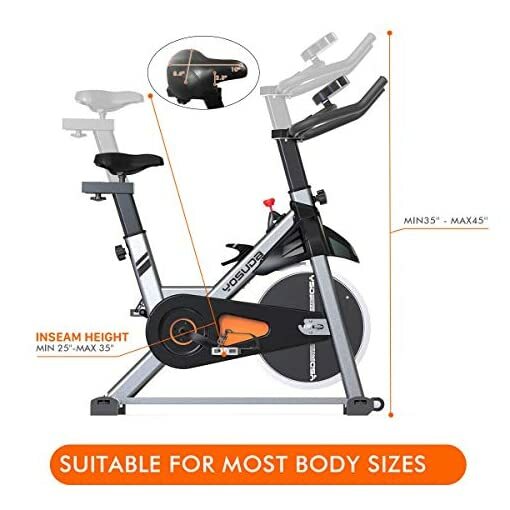 ✅ 【PERSONALIZED FIT SPIN BIKE】 2-ways adjustable non-slip handlebar, 4-ways adjustable padded seat (inseam height 25-35in) and a large range of resistance gives most users the most comfortable indoor riding experience. Workout your muscles / lose weight / enhance heart /lung function. 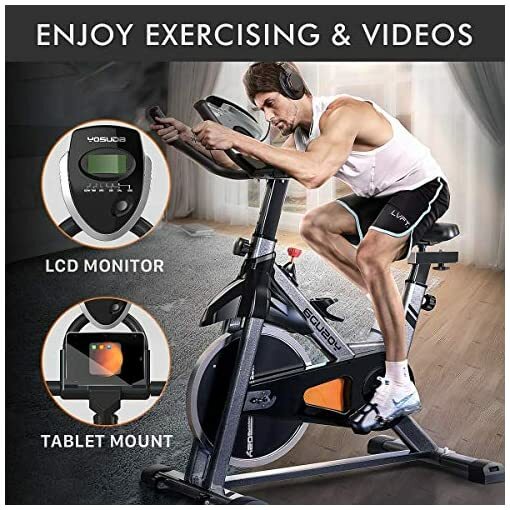 ✅【LCD MONITOR & IPAD MOUNT】The LCD monitor on exercise bike tracks your time, speed, distance, calories burned and odometer. The gift IPAD bracket allows you to enjoy exercising and music at the same time. 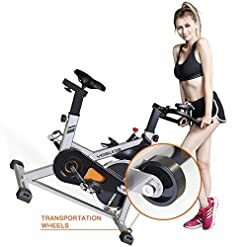 Most people do not love waking up in the wee hours to travel to the gym. They also find it frustrating trying to find a spin class that has room for them. You probably feel the same way. 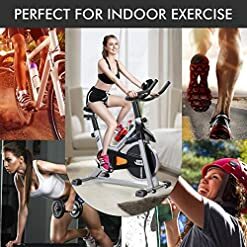 Wouldn’t it be nice if you could just roll out of bed and start a powerful fat-burning workout in the convenience of your own home? 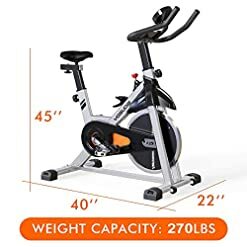 Well, with the YOSUDA spin bike, you can! With its fantastic price and incredible commercial quality, our YOSUDA cycling bike is a deal you don’t want to pass on – add one to your home today! 1/Avoid sweat from dripping onto the dial during exercise, otherwise it will easily lead to the failure of the dial. 2/Please read the installation manual before installation. 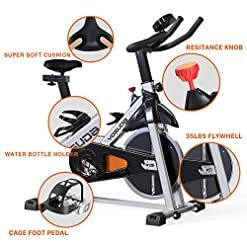 Especially when installing the pedal, please align the pedal thread with the crank thread and tighten it. 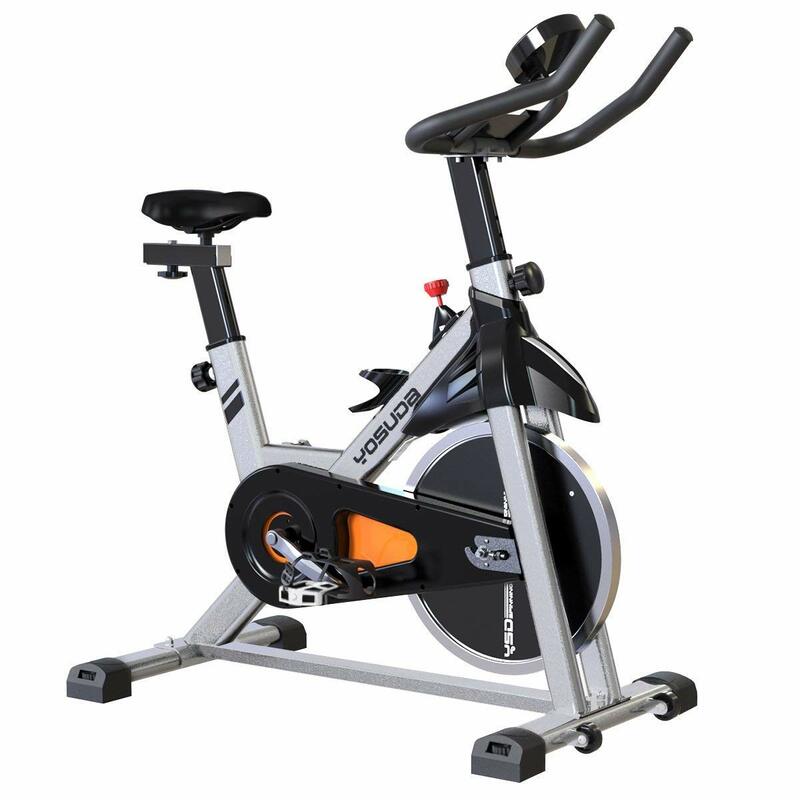 Otherwise, the crank thread will be easily worn and the pedal may fall off during riding. 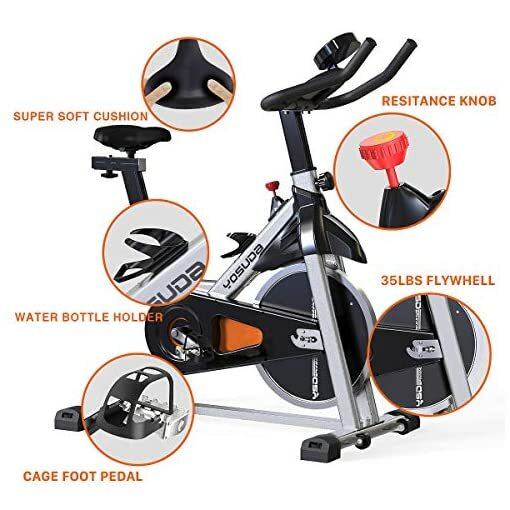 ✅ 【SAFE TO USE】270lbs maximum support user weight, adjustable anti-skid cage pedals, emergency brake lever and water bottle holder creat a safe riding condition. Transport wheels help you easily move this YOSUDA exercise bike from one place to another. ✅ 【100% WARANTY】30 days full refund, 100% satisfication. Need simple assembly, the installation manual included in the package will help you. Product Dimensions: 40 x 22 x 45 inches (L x W x H).